Mrs. Joyce Sims Clifton, age 78, of Lanett, AL passed away on Tuesday, April 2nd, 2019 at the East Alabama Medical Center in Opelika, AL. She was born on September 29th, 1940 at her family’s home in Huguley, AL. 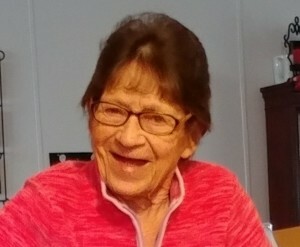 Mrs. Clifton is survived by her son, Jeff P. (Cindy) Bennett; her daughter, Cathy Stewart; five grandchildren; twelve great grandchildren; several nieces and nephews. She was preceded in death by her husband, Joseph Herman Bennett, Sr., her son, Joseph Herman Bennett, Jr., her sister, Lorene Weldon. Mrs. Clifton was a “firecracker” who didn’t mind sharing with others what was on her mind. She was a very big University of Alabama fan. She loved life and all of her grandchildren and great grandchildren. Funeral services will be held on Friday, April 5th, 2019 at 2:00 PM (EST) at the Johnson Brown-Service Funeral Home Chapel in Valley, AL. The Reverend Rusty Letson will officiate. Interment will follow in Johnson Memorial Gardens. The family will receive friends Thursday evening from 6:00 until 8:00 PM (EST) at the Johnson Brown-Service Funeral Home in Valley. Please visit our website at www.johnsonbrownservicefh.com to leave a condolence for the family, to share a memory of Mrs. Clifton, or to light a Remembrance Candle in her memory. Johnson Brown-Service Funeral Home of Valley directing.